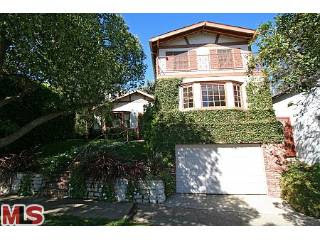 The home at 10511 Rochester Ave., LA CA 90024 has been off market for about 6 months as it awaited its fate with a short sale approval. Somewhere along the line the buyer seemed to have walked and within the past week the home has come back to market as a fully approved short sale. The home started it's journey back on 11/17/08 for $1,995,000 and received several price reductions, which put it in short sale territory in the middle of 2009. The home now looks to be approved from the bank with a price of $1,670,000. At under $400 ppsqft, this seems like a reasonable price for the location. According to the MLS, the home is a 6 bedroom / 4 bath, 4,800 sq ft of living space on a 6,500 sq ft lot.